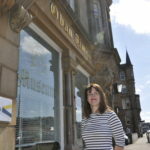 Nancy Black is the name that for decades has stood proudly above the Argyll Square, Oban, chandlery and outdoor clothing shop, yet few people know the amazing story behind that name. Nancy was born in Portlea, Oban, on April 24, 1927. She attended Rockfield Pimary and Oban High schools. As a teenager she experienced Oban in war time. With airmen and sailors billeted in the family home, her older sisters thought the whole thing exciting, but to Nancy it ‘stole’ her teenage years, and she subsequently wrote a book on that period entitled ‘Courage, a teenager’s view of war’. The Black family have tremendously deep roots in the Oban area. Nancy had a great love of research and compiled a family tree dating all the way back to the 15th century, all living in the Oban area, with strong links to the Clan MacDougall. As part of that research, she found letters dating back to the Clearances, when many MacDougall families were leaving the area, and the island of Kerrera in particular, for new lives in the USA, Canada, Australia and New Zealand. What made Nancy special, however, was that she did not just keep that research to a desk exercise, she traced many of those families and set off on a global pilgrimage to visit them. That gave her the material to write her fascinating history of the era, ‘From a Hollow on the Hill, history and tales of Lorn and Fortingall families’. Those same journeys have for many years now resulted in her, and her niece Jane Terris, entertaining MacDougall visitors from all over the globe at their family homes, Torwood and PortLea, in Oban, and sharing her valuable knowledge with them, particularly at MacDougall Clan Gatherings (of which there will be another one in July of this year). Nancy had a great love of sailing, starting with a clinker-built dinghy, powered by sail and oars in which the family went fishing. She was to become a member of the Royal Highland Yacht Club in 1956, later becoming an honorary life member. That same feeling led her to becoming a lifelong strong supporter of the RNLI. While sister Isobel was president of the Ladies’ Lifeboat Guild, Nancy worked behind the scenes where Torwood would frequently be a scene of frantic activity, preparing for book sales, or cooking vast quantities of home-made marmalade for sale at open days. Her community support interest also extended to the War and Peace Museum, which she helped to set up. She tells an amazing story in that respect. During the war, her aunt, Jessie MacIntyre, along with brothers Donald and Hugh, farmed Gylen Park and Lower Gylen at the south end of Kerrera. One day while near Gylen Castle Jessie thought she could hear foreign voices from the shore. She hid herself (remembering that her other brother Dougald was serving in the trenches) and then saw German sailors on the shore below the castle. Nancy’s fondest memories were of Kerrera and the farm. She helped by bringing supplies from Oban to the island. She often recalled the delicious fresh cream, still warm from the cow, together with Charlie the Clydesdale, the last ploughing horse on the island. Nancy was then pivotal in introducing a Fergusson tractor to the farm, first by persuading her uncles to make the purchase, then herself actually first mastering its function, before passing on the new skills to her uncles. 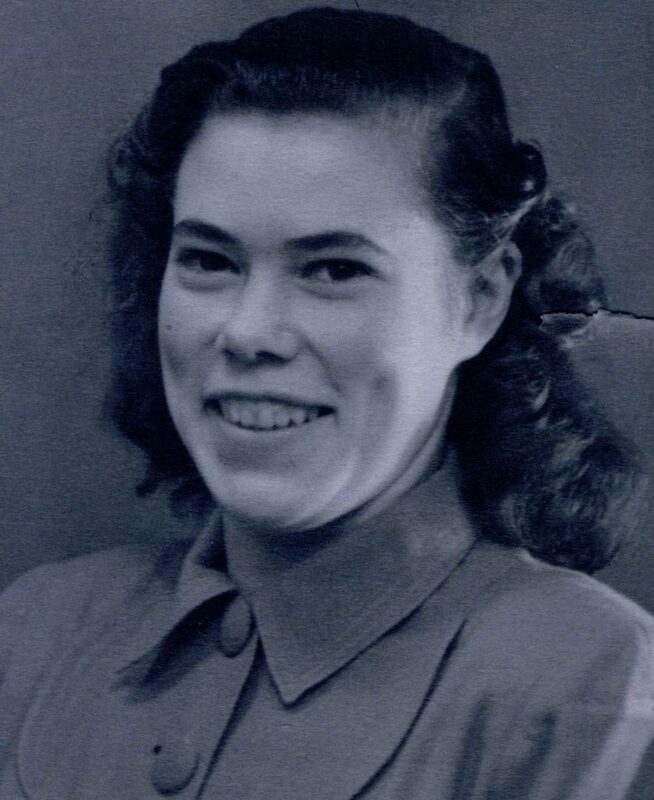 In that respect, her range of practical skills and interests ranged as widely as car and motorcycle mechanics, rallying, carpentry, stone polishing, painting, photography, accordion playing and much more. 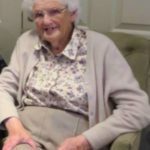 Nancy was a great family person, maintaining wide family connections, and always enjoying the company of children, right down to her great-great-nephew Euan aged three. She contended that the name Euan can be traced back to one Euan MacDougall from the Viking era of the 13th century. Surely that ability to mix the scholarly with the caring and the practical was what made Nancy Black a very special person, who will be sorely missed.